IRVING, Texas (CNS) — The Boy Scouts of America’s new policy to accept members based on their gender identity will have no impact on Scouting units sponsored by the Catholic Church, said the National Catholic Committee on Scouting. The Boy Scouts announced Jan. 30 that effective immediately, the Texas-based organization will determine membership eligibility for Cub Scouts and Boy Scouts on a youth’s gender identity as indicated on the membership application. Previously, the policy based eligibility on the gender indicated on a youth’s birth certificate. The change in policy “has no impact on the operation and program delivery of Scouting program(s) in Catholic-chartered units,” said a Feb. 4 statement issued by the Catholic Scouting committee. 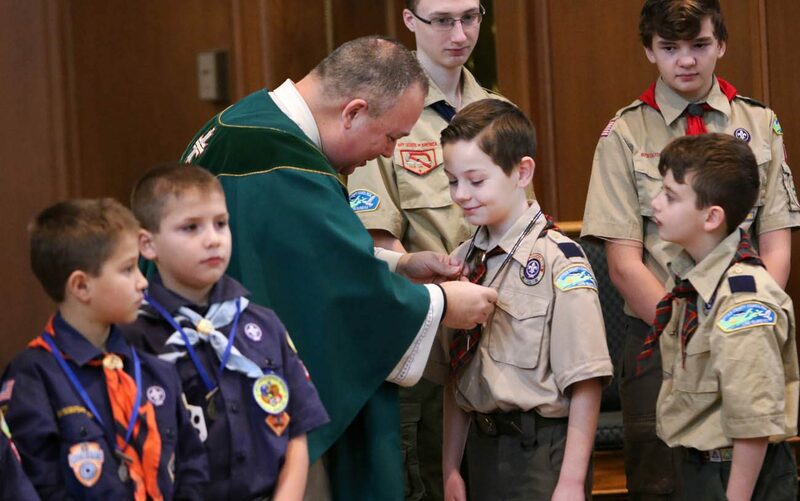 The statement was signed by George S. Sparks, national chairman of the National Catholic Committee on Scouting, and Father Kevin M. Smith, a priest of the Diocese of Rockville Centre, New York, who is national chaplain of Catholic Scouting. The statement was approved by Bishop Robert E. Guglielmone of Charleston, South Carolina, who is the episcopal liaison between Catholic Scouting and the U.S. Conference of Catholic Bishops. In announcing the membership change, Michael Surbaugh, chief Scout executive, said the organization has been “challenged by a very complex topic — the issue of gender identity.” “After weeks of significant conversations” at all levels of the Scouting organization, he said, officials decided a birth certificate is no longer sufficient for determining eligibility for participating in Cub Scouts or Boy Scouts. “This is an area that we will continue to thoughtfully evaluate to bring the benefits of Scouting to the greatest number of youth possible all while remaining true to our core beliefs,” Surbaugh said. About 70 percent of Boy Scout troops are run by faith-based groups.